Royal Horticultural Society of NSW. Floral Art Section. The 2004 Annual Show, competition, and seminars were held at the Burwood RSL club on Saturday 12/06/04. 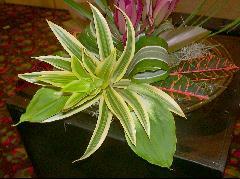 Members showed great interest in the Bromeliad Society of Australia meeting next door. 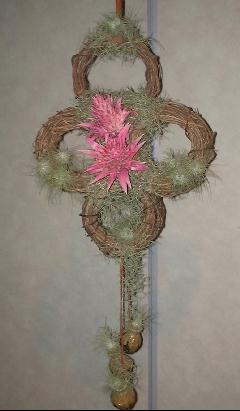 Here are 3 photos of displays incorporating Bromeliads. IKH 06/04, Royal Horticultural Society of NSW. 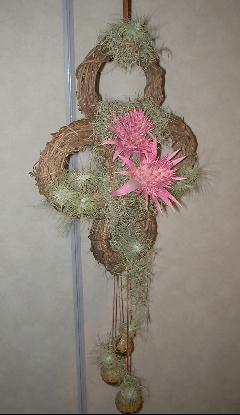 Floral Art Section. Burwood RSL.